Are you pro-life or just anti-abortion? Please be honest. Be honest with yourself and with everyone else. If you’re simply anti-abortion, then please stop calling yourself pro-life. If you know your history, prior to Roe v. Wade, the “pro-life” movement was actually the Human Rights Movement, and was linked to the Civil Rights movement. It was, in fact, a bipartisan movement where both Democrats and Republicans worked together. Back then, pro-life meant advocating for and preserving all life, both inside and outside of the womb. If you call yourself pro-life, are you also scandalized by the suggestion we torture our enemies because it’s “the best way” to get information, ignoring it’s an affront to humanity and the integrity of the Geneva Convention, ratified by 196 countries, which establish the standards of international law for humanitarian treatment in war? If you call yourself pro-life, are you willing to take a stand against the gun lobby who throw money and threats against stricter gun control legislation needed to prevent more unnecessary gun deaths each year, particularly by assault rifles? If you call yourself pro-life, are you seeking to abolish the death penalty where not only innocent people are sometimes mistakenly put to death, but does nothing to rehabilitate or redeem a criminal, has proven not to deter crime and is far more costly than life imprisonment because those given the death penalty are often left to languish on death row for up to 30 years? If you call yourself pro-life, do you welcome immigrants and refugees who, if deported, face separation from their families, deplorable living conditions or, in some cases, even death? If you call yourself pro-life, do you honestly seek to understand, on an individual basis, men and women unlike yourself instead of categorizing and dehumanizing them as a group? If you answered “No” to any of the above questions, I invite you to relook at your stance. Don’t change your mind on abortion, but see if there is a place in your heart for other lives, those lives outside the womb who are often ignored. I invite you to go back to the original meaning of pro-life and re-adopt the tradition of the Human Rights Movement. Those are the lives Jesus ministered to. How can we ignore him? Isn’t it time we agree to advocate for all life so we can honestly call ourselves pro-life and followers of Jesus? If you are a new believer or wish to go deeper in your faith, download one of five Branches Devotional Workbooks. Each is designed to help you become more familiar with your Bible and lead you into a closer, personal relationship with God. 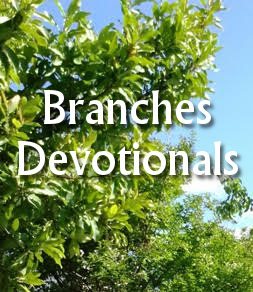 To read more about each Devotional, click on the Branches Devotionals icon below or the Branches Devotional tab above. All Devotionals are free to download. 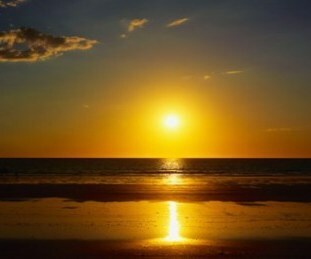 May the love of the Lord shine upon you today. Really good points, Susan. We need to be consistent in what we’re for or against. Jesus was “pro-life” in all of those points you listed. The Pharisees, on the other hand, put their world view of things above people. They did Mel…(and still do, I’m afraid). Well written and thought provoking Susan. This does cause one to step back and question their beliefs, with out a doubt. Good job! We all need to question our beliefs and actions every now and then Steve. Thanks for taking the time to read and comment. It is so true that we need to take that self-examination at times. May we be grounded in the faith, spirit, and light of the true word! I have been a true pro-lifer all my life and I can answer yes to all those questions, Susan, in all honesty. At the same time, and fiercely appalled by abortion, especially late term (horror), I can see that each case has to be dealt with individually. I would never have an abortion, myself, unless the fetus were seriously deformed or deceased (heaven forbid and God rest their souls) but that is a personal, individual decision. And, there is a reason that Roe v. Wade became the law of the land. Until this country is willing to pay for the fetus/baby to have an advocate, what else can we as a society do to give women control over their bodies? I think that nascent human being deserves a say as well, of course! And, if we are pro-life, we should have sympathy for animals as well. Anyway, these are just my opinions and I think your points are brilliant. I am going to copy them to a file for future reference. I simply think we have to be consistent, and we’ve lost our moral compass somewhere along the way. I am an anti-abortion advocate, yet we cannot take away current health care for women. And we must relook at our definition of life and both expand it AND look at it on an individual basis. You know, I thought about adding animals, too, at least in the context of abuse, so I appreciate your comment. As for food, I was trying to take a world view on this, not just a Western World view; sometimes, animals are all that is available. No, I’m not; I eat fish and eggs. Sorry, that’s not what the blog is about. I did enjoy the post. From what you have said Susan, I would deduce that you put physical life above all else. For instance what is a “pro-life” stance on euthanasia? I personally have long since stopped trying to resolve some of the positions you mentioned and choose to take each decision individually. “Right” answers can quite often be contradictory. For instance I have enough science to know that as soon as conception occurs, the DNA is alive and is a third individual person who should have the protection of our laws. That said, I also believe that any person has the right to control over their own body – 100%. The obvious contradiction comes when one life form depends on another for its existence. Then both are true and contradictory. That said, the Talmud deals exactly with such a situation, It says that when two perspectives are equally right and mutually contradictory, then there is a third , over-arching umbrella concept under which both can co-exist. Personally I choose to follow, as much as possible, the teachings of the Bible which, in toto, consistently put ethical, moral and spiritual concerns ahead of physical ones. “Lay up your treasures in heaven.” In other words, our “life” is centered around our spiritual existence , not our physical existence. That throws the “life is primary” belief and all the resultant outcomes, into question as a criteria for right or wrong. The fall-back position is that God holds each and every one of us responsible for our own decisions. For us to try to convince others they are wrong, is in and of itself judgmental -a quality firmly and consistently rejected by religious texts. This is a very touchy topic for many and I would not normally even participate in such a discussion. However, you have been consistently and honorably persistent in presenting what I perceive to be a “Godly” view without judgement Susan. I hope that my comment is taken as it is intended – and that is as my own personal beliefs as they relate to the topic of the post. For me this exchange of ideas is critical to learning – and these ideas are seldom exchanged. Thank You Susan for the open discussion and the opportunity to contribute. I agree that this is a touchy topic, Paul and would agree with your assessment about ” ethical, moral and spiritual concerns.” None of us can lay blanket claims on morality and we must look at each other as individuals with unique issues, free will and our own relationship with God. It’s important we discuss these issues without judgement, with respect for each other as Spirit-led people earnestly seeking God’s will. I’m always glad when you contribute your thoughts, Paul; you add honorably to any discussion here. Very well said. You have me really thinking now! It’s too bad we have made it a two-sided discussion. You bring up so many relevant arguments that are so almost always ignored. This would be a good campaign speech for one of the candidates! Please enter your email address to follow; notifications of new posts will arrive in your inbox. Your following is appreciated; I am most grateful for your open heart. Visit Branches Devotionals to download yours now!